I love rapeseed–Germany is blossoming in it now–green fields and yellow–love it! It certainly brightens up the countryside right now So pretty. Great photo! 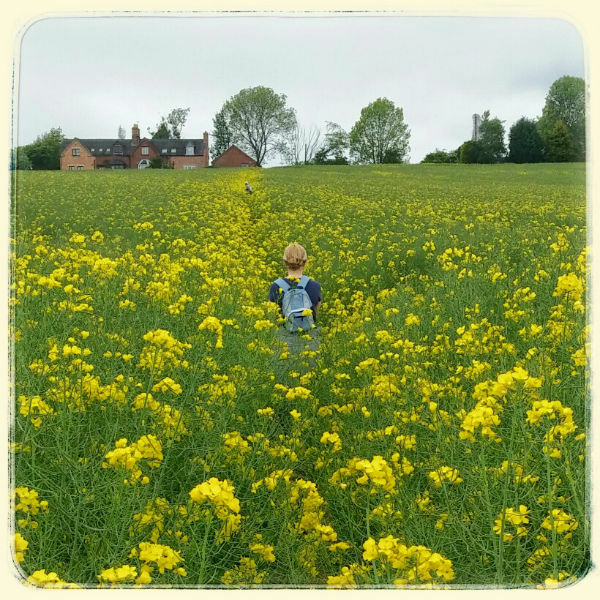 The fields of yellow rapeseed are so great at this time of year! They really are – just stunning Thank you for your comment. Thank you. We hadn’t come across this field before but it was so pretty. That is such a lovely photo. I would have to wear a face mask to do this sadly! Love the photo, great colours and such a summer scene (or maybe spring).